The panels above and below left illustrate how demanding some areas can be to print. The combination of custom screens and pad printing enabled us to over come the awkward recesses and protrusions pictured here. Cleon moulding screened and pad printed. 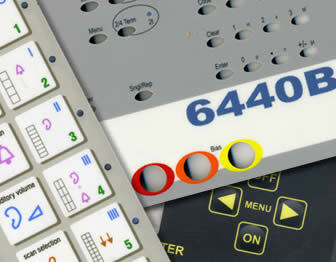 We have a long history in printing and engraving control panels, fascias and components for the industrial sector. Some of our most challenging work has been in this area of expertise, particularly with some of the more unusual shapes, sizes and various angles involved. 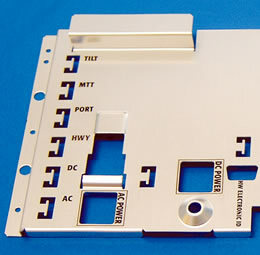 We can print up to 8’ x 4’ in size and our range of production techniques usually means we can find a way to achieve the desired result and deal with any complications involved with a particular project.